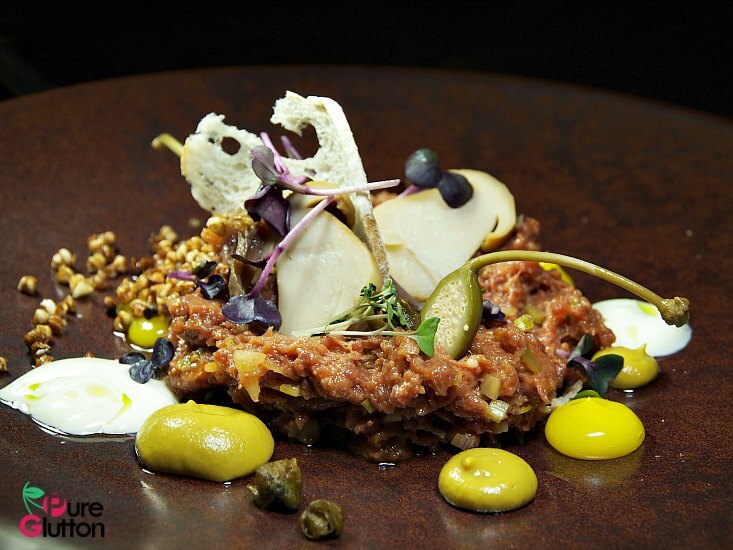 Chef Marcin Budynek helms Polish Tatar Food Festival at Shook! Have you ever tried Polish food? I have never… until yesterday. So, when an invitation came from the YTL Group to try this at Shook!, I jumped at the opportunity. 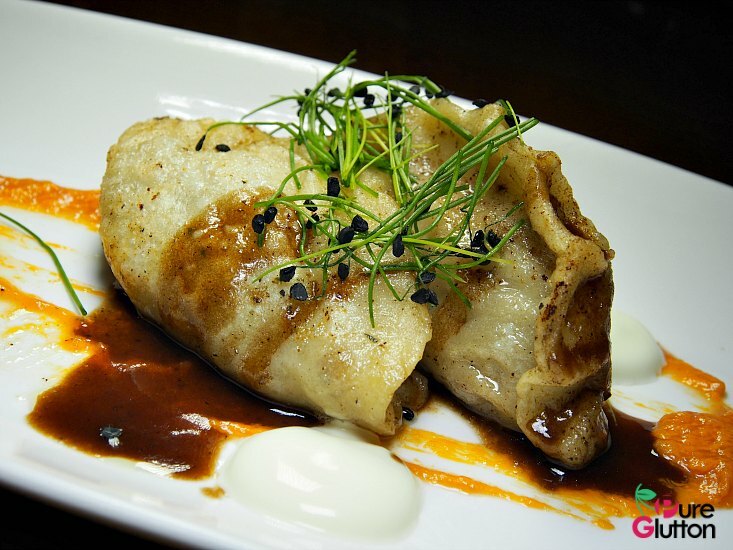 The Polish Tatar Food Festival is happening at Shook! for a very short period only – until 14 November 2018. Yes, that’s right – it’s only for 3 days (it started yesterday!) 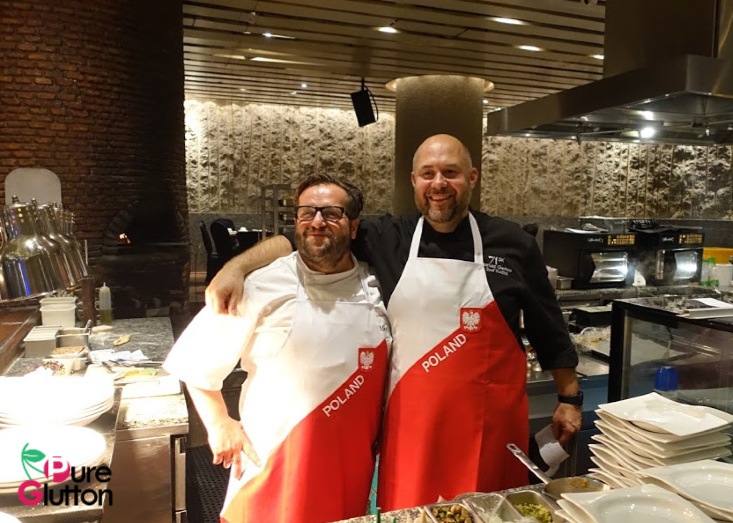 This lightning promotion is held in partnership with the Embassy of the Republic of Poland in Malaysia with a special menu crafted by Guest Chef Marcin Budynek. 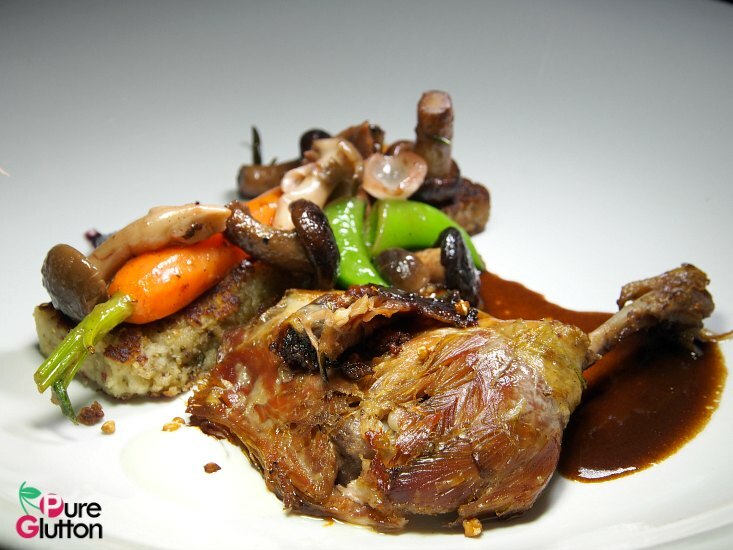 Originating from Poland, Chef Marcin graduated from the Poznan Culinary Schools in his homeland. 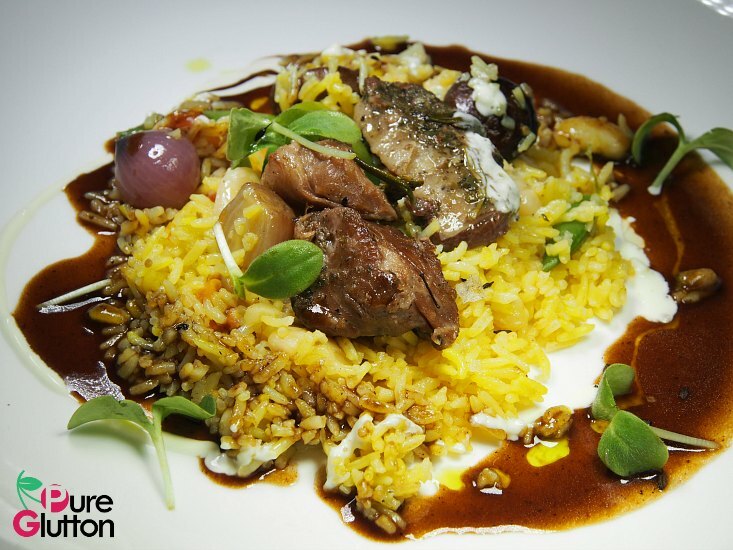 His passion for the culinary arts took him through Italy, England, Chile, South Africa and Spain – an adventure filled with global experiences. 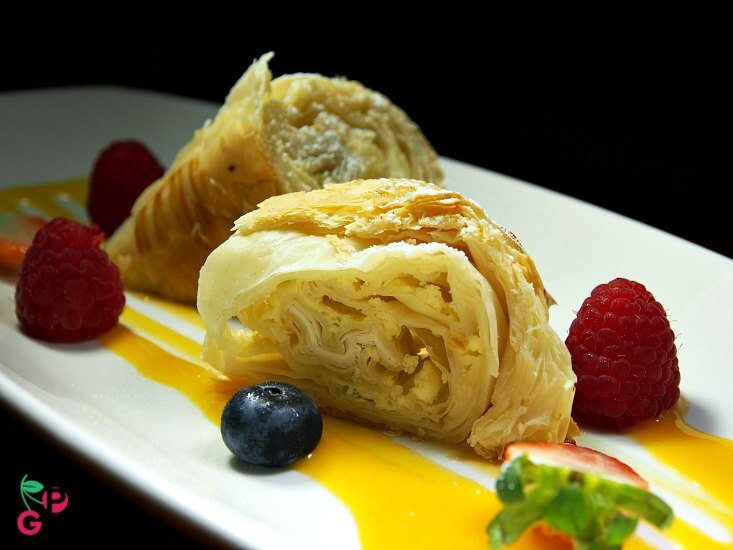 At present, he hosts popular daytime television cooking shows, runs the Marcin’s Culinary Academy and helms the Bistro Dobra Zmiana and Tawerna Fisza, restaurants founded by him in Poland. So what are the flavours of Polish Tatar food like? 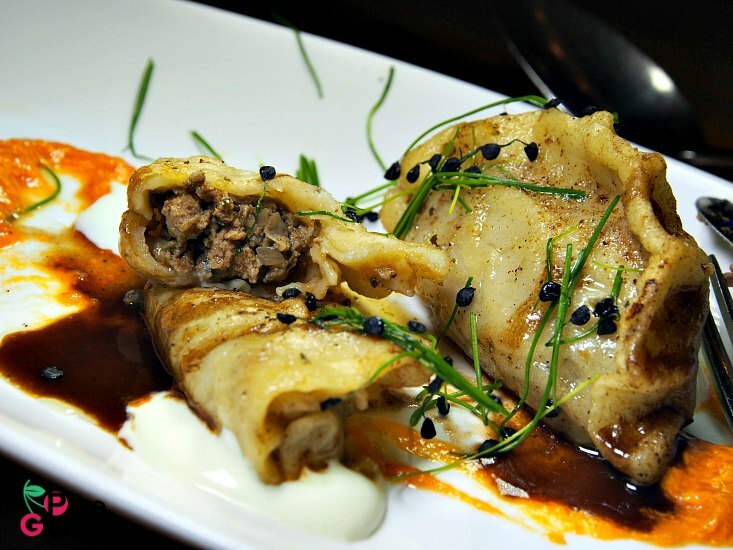 There is an assimilation of Asian influences in Tatar food – as I remember from my history books, the nomadic Tartar people settled all across Asia and Europe. One-pot meals are common (because they were nomads), raw beef as in “beef tartare” originated from them and dumplings (a Chinese influence) are popular. Pilaf rice, another Asian influence, features much in their diet too. 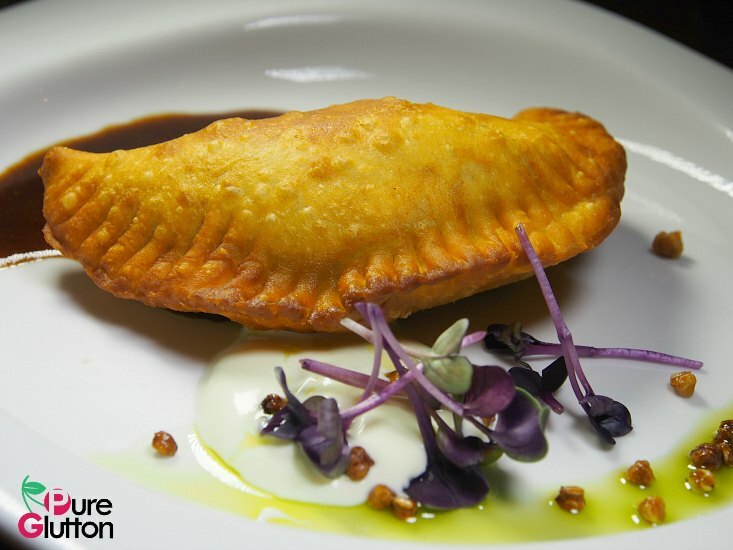 Looking at the thoughtfully curated menu, there are appetisers such as Beef Tartare, Beef Chebureki with Crème Fraîche or Tatar Dumplings with Chicken or Vegetables. 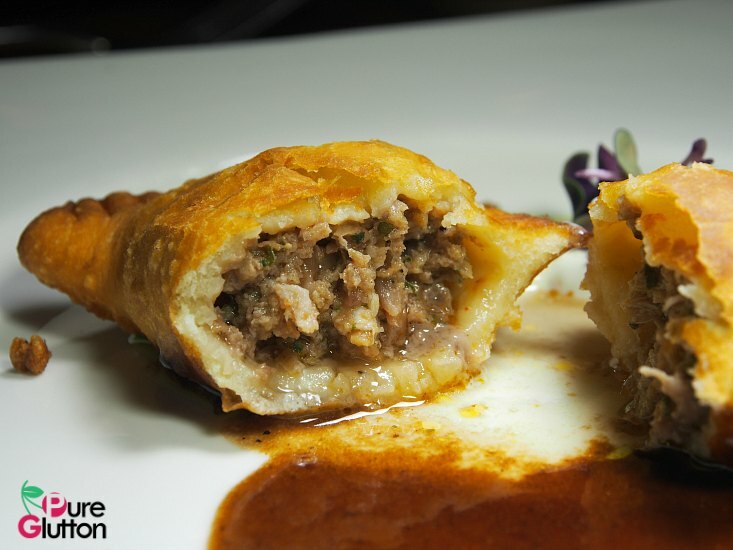 The beef chebureki looks much like our local currypuff with a minced beef filling which is fragrant with spices but without any chilli heat. 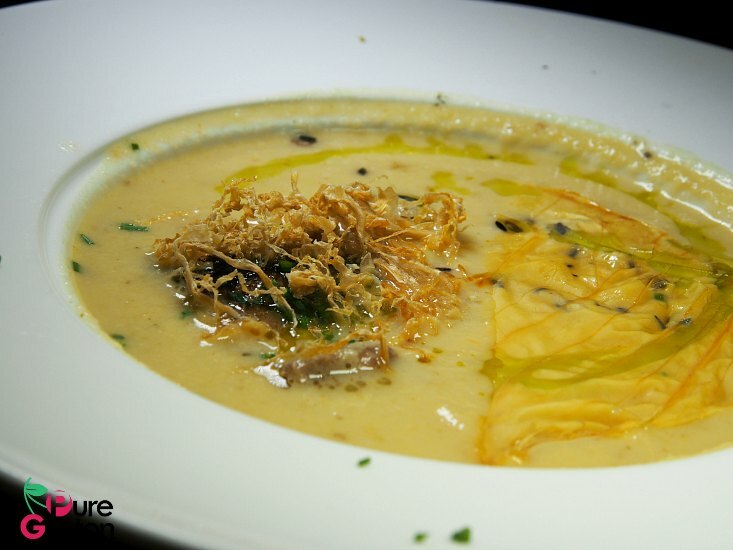 There are 3 choices of soup: Cold Beetroot Soup, Cream of Sauerkraut with Beef Ribs and Beef and Lamb Stew. The sauerkraut beef ribs soup is the traditional “bigos” (hunter’s stew), more like a stew of sauerkraut and meat which is a staple and the national dish in Poland. 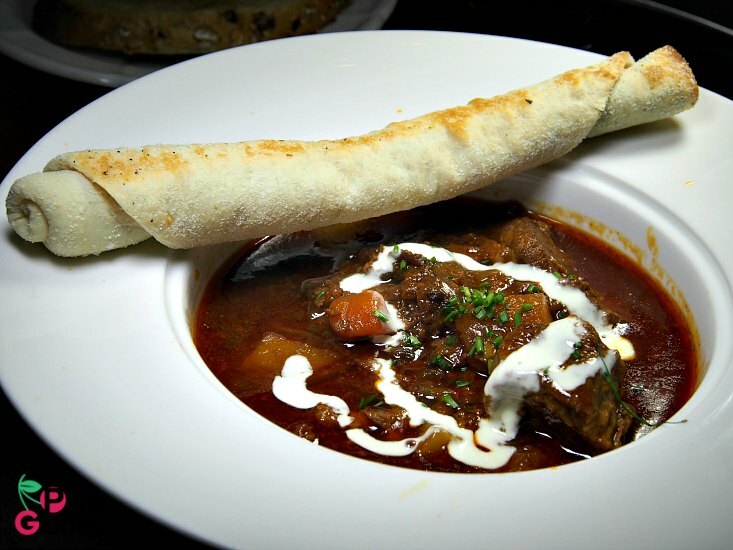 I like my Beef and Lamb Stew, served with a rolled-up flat bread – robust flavours which are so hearty and comforting. 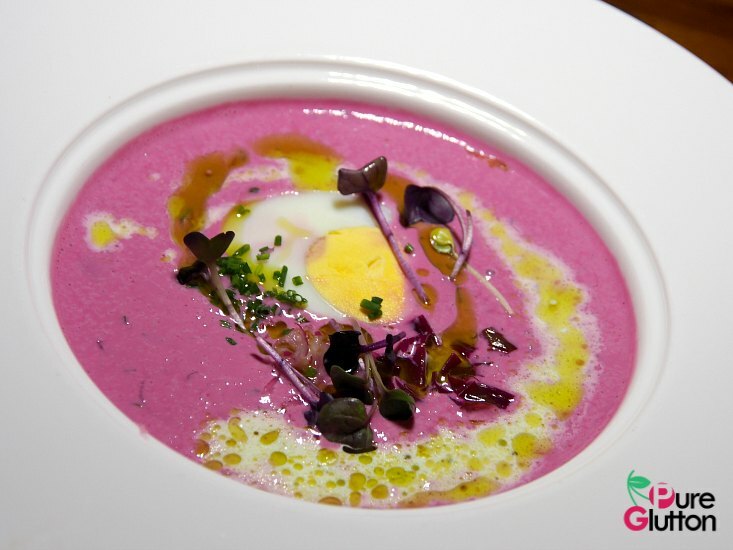 The Cold Beetroot Soup is lighter, refreshing – a soup usually served during summer! 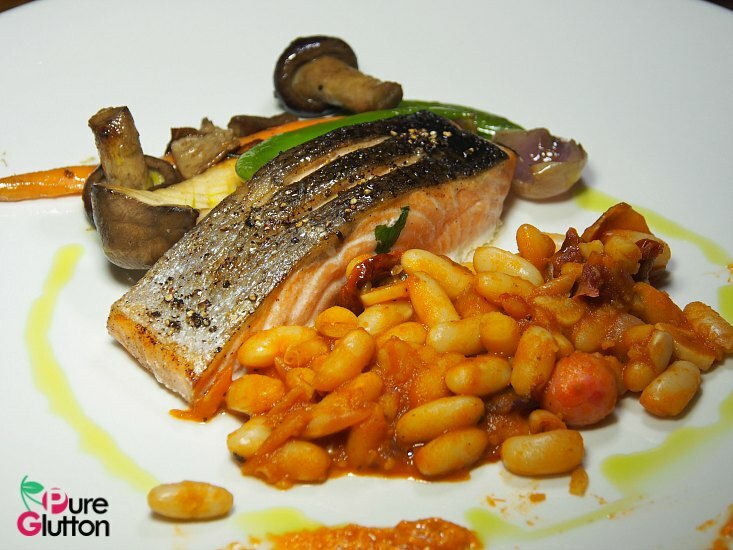 For the main course, guests have the option of choosing from Baked Duck with Potato Cake, Slow-Roasted Lamb Shoulder with Vegetable Pilaf or Salmon in Butter Emulsion with Casserole of Beans and Pickled Vegetables. The Polish people love their sweets too. 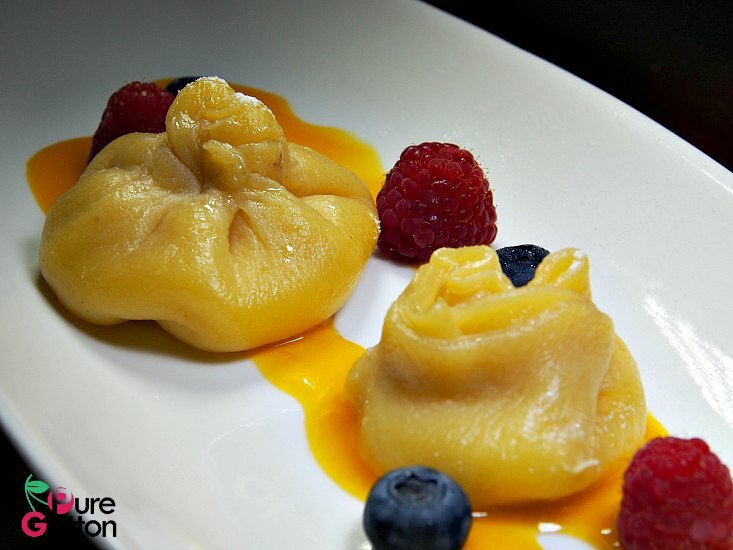 I had a taste of their desserts – Traditional Tatar Stulistnik Pastry with Lemon Cream and Fruits, Steamed Sweet Manta Dumplings with Cottage Cheese and Fruits or Sweet Buns with White Buckwheat and Poppy Seeds. Dinner is accompanied by authentic Tatar music performed by Maria and Marcin Ruminski from Poland. Available through 14 November from 7pm until 10.30pm, a 3-course dinner is priced at MYR160nett per person and 4-course dinner is priced at MYR180 nett per person. 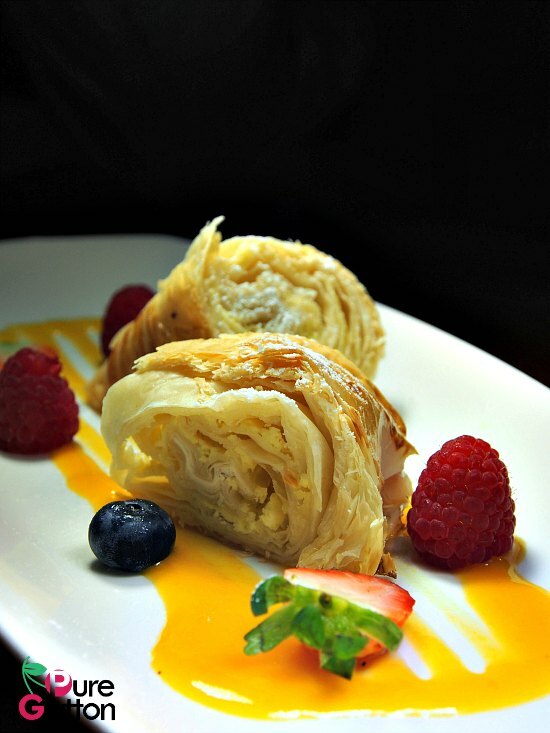 Guests also have an option to choose selected dishes from the menu at à la carte prices. For reservations and enquiries, please call +603-2782-3875 or email shook@ytlhotels.com.my. 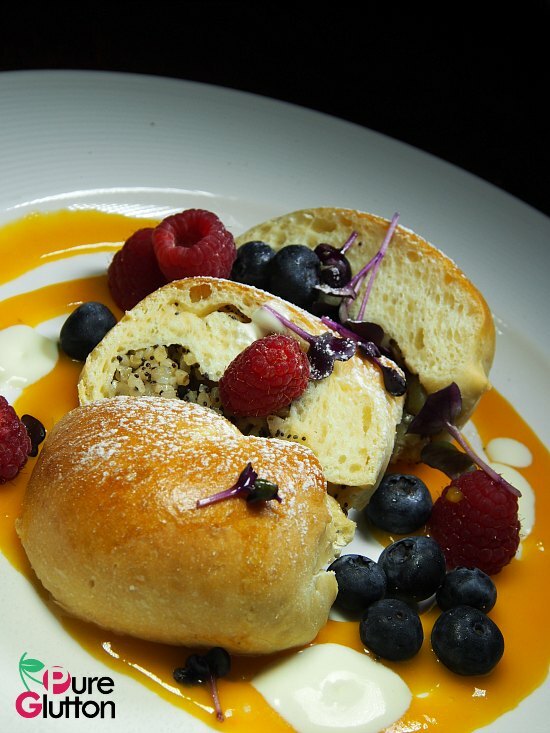 This dishes are just awesome so yummy thanks for sharing!